The Tourism Industry Association of BC (TIABC) is pleased to announce that nominations are now open for the 2018 BC Tourism Industry Awards. The deadline for nominations is January 15, 2018. These awards recognize excellence in the province’s tourism industry. Recipients provide outstanding service, exemplify best business practices, innovative marketing and deliver tourism experiences that contribute to the success of BC’s tourism industry—which currently generates close to $16 billion in revenue for the provincial economy. Five awards will be handed out at the Tourism Awards Luncheon, held during the BC Tourism Industry Conference. Award information and nomination forms can be found on the conference website. The BC Tourism Industry Conference runs from March 7-9, 2018 in Kelowna. The conference will offer a variety of keynote speakers, workshops and the Tourism Awards Luncheon on March 8. Nomination deadline is on Monday, January 15, 2018. Employees First Award, sponsored by go2HR. 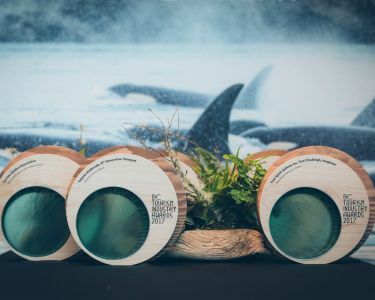 This award recognizes a tourism business or organization that has developed, delivered, promoted and sold a new or improved tourism product or experience that reflects the essence of British Columbia and contributes to a remarkable visitor experience. Festivals/events, adventure/outdoor, food and beverage, cultural/heritage, urban/rural and accommodation experiences may all be considered within this category. This award recognizes community DMOs for outstanding performance, accountability and commitment to the tourism industry in British Columbia.